M TOWER MIAMI. METROPOLITAN MULTIFAMILY FOR MILLENNIALS. Miami River Project Loan Approved! 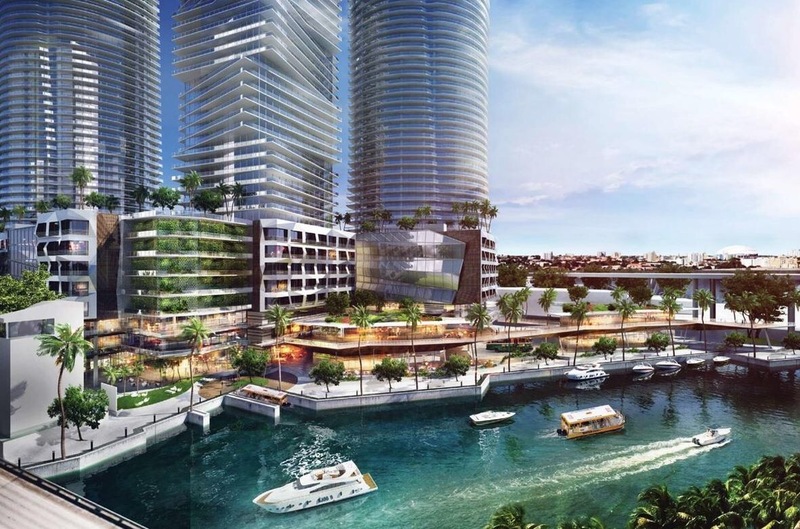 The Miami River Project is a 5 phase, mixed use project. The Project will include 1,678 residential units, 330 hotel rooms, as well as 266,000 square feet of retail/office space. The Project is set to include four towers (most likely residential), a Hotel (which is most likely to be a major hotel flag), a myriad of different stores, restaurants, and a river walk that will be open to the public. The First phase is set to have a 56-story building with a 207-room hotel, 334 condos, and 42,100 square feet of retail space and a parking garage. The Developers, Chetrit Group and JDS, hired Fortune International to handle condo sales. With the Approval of the city commission back in October of 2015, the developers promised to invest $14 million into affordable workforce housing, as well as $7 million for public infrastructure surrounding the area as well as renovating the Jose Marti Park. The development sought out a $49 Million dollar pre-development loan, as well as a $1 billion dollar loan for the mixed-use project. Complete Streets or Streets for people is a pilot project that will rearranges SE/SW 1st Street to organize the Downtown transit into 4 lanes, providing in addition to car circulation, a green bike lane and a red bus lane and street parking. The multi-modal desing, will prioritize pedestrians and cyclists, and will include the beautification of the sidewalks, adding lighting, trees, and varied urban equipment. The pilot program will be then implemented in the entire Downtown Miami CBD. When the Brightline opens this summer, it will be the first train built in America in a century. The high-speed line is funded, built and operated by private capital. The $1.3 billion cost of phase one which includes tracks, bridges, stations and trains is not being funded by the taxpayers. 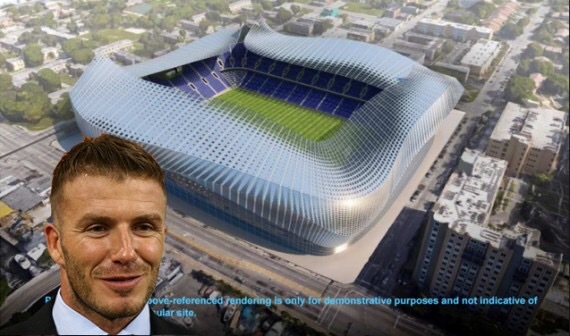 The Beckham group has paid $19M for the development of a Miami stadium in overtown. They’re going to pay $9M for 3 acres that will complete the 6 acre development site. The Miami Herald said, the Miami-Dade County Commission could vote on the deal during next week’s meeting. Beckham has planned this stadium since 2014 and now it’s coming to fruition. What currently sits on the 3 acre plot of land to finish Beckhams stadium? A county bus depot. The $150M stadium will have 25,000 seats. Since the stadiums announcement to build in Overtown, a spark in investments have hit the area. There was recently a $6.7M deal for a 47,000 SqFt across the street from the stadium. FedEx’s has 200 South Miami Avenue leased until 2029, plus, a five-year renewal option. The property is a 110,000 SqFt building! In 2019, the rent will be $14.82/SQFT, triple-net, with 2.5% increases each year. The property is expected to reach $40 million ($364/SQFT). The site was purchased in 2014 for $19M. The site is 1.4 acres and can be redeveloped because current zoning allows 2 million SQFT and up to 1,395 units. Downtown Miami is in the middle of redevelopment. 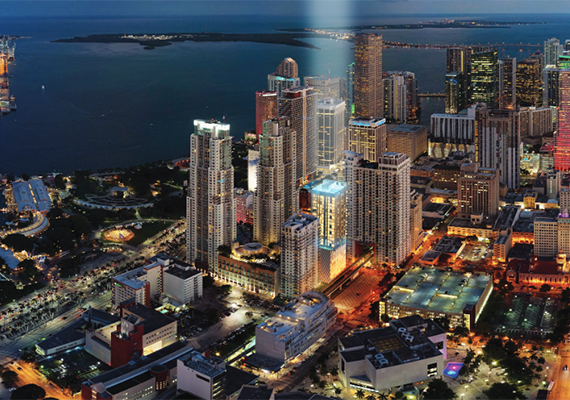 Downtown Miami will have 3,575 rental units ready in 2017, as oppose to 2,774 condos. Developers want to focus on the multifamily market due to downward condo sales. The Yotel Hotel is 45 stories and will have 264 small hotel rooms. It will be located on a vacant lot near a Metromover station and Miami Dade College. It was bought for $5.5 million in 2013. NE 2nd Acquisition, was approved for a 22% parking reduction. The review board signed off on the developers’ request to locate parking for the condo residents in nearby garages within 1,000 feet of the hotel. The review board authorized a total of eight waivers. 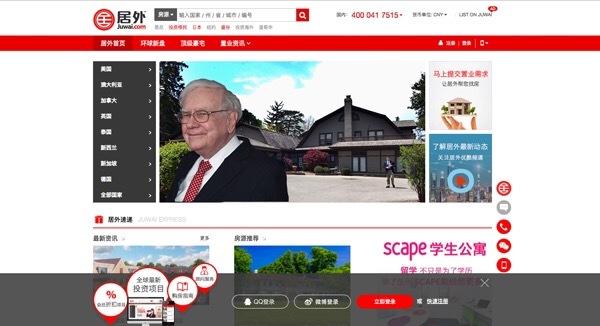 Berkshire Hathaway’s HomeServices has begun advertising U.S. real estate in the Chinease market through Juwai.com. This partnership is to encourage wealthy Chinease buyers into the U.S. market. Juwai.com reaches more than 400 Chinese cities and 160 other countries. There may be some friction with the Chinease government’s effort to keep currency within their borders; however, according to bankers, there has been an increase in traditional lending since the crack down on foreign investors. The American Dream mega-mall is a 6M SqFt project that is expected to open in 2022. The project cost will be around $3B. It’s going to be the biggest mall in the nation. The board postponed a month for the review of the development due to an incomplete traffic-impact study. This is the county’s largest development. The mall will be completed in a single phase. There will be a retail theme park that is anticipated to attract more than 40M visitors per year. The board will meet again on March 10. Miami Worldcenter, a 27-acre mixed-use project, sold $74.1M in tax-exempt bonds and can use the capital toward construction. The $2B project will include condos, apartments, retail, restaurants, and a hotel/convention center. What is under construction right now is the 512-unit Paramount Miami Worldcenter condo and 100,000 square feet of high street retail. Latin American interior design firm opens their first office in Brickell. Their Colombian based and are extremely successful. AEI is currently handling 4 projects: the interiors of the 137-unit condominium Naranza at Edgewater, Paramount Residential Mortgage Group’s Miramar offices, as well as the headquarters for a dermatology office and a law firm. This blog condenses all news relevant for the M Tower Project. The posts are organized chronologically as the news come out in the different newspapers, newsfeed, and industry related media. The news are categorized into two types, project specific news, and market news in the local area which includes, Downtown Miami, Brickell, Miami Riverside, and Miami Performing Arts District. We keep a close look on the market news that will positively affect the M Tower. Whether those refer to demographics growth, job creation, impactful urban redevelopment, as well as new commercial projects including retail, office and transportation, which will improve the quality of life and connectivity of the area. The neighborhood is experiencing a tremendous growth and positive change, as now has some of the hottest zip codes in the Country.